Associate Professor in the African Studies Department at Howard University. Professor of the course Hip Hop and Social Change in Africa. 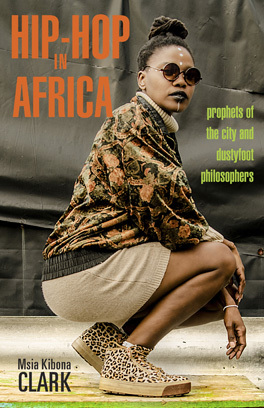 Researcher and photographer of hip hop in Africa. Dr. Seth Markle is an Associate Professor of History and International Studies at Trinity College in Hartford, Connecticut. Seth received his PhD in History from New York University. At Trinity College he teaches the courses Global Hip Hop Cultures and Introduction to Hip Hop. Much of his academic work has centered around Diaspora communities in Tanzania. His new book A Motorcycle on Hell Run: Tanzania, Black Power and the Uncertain Future of Pan-Africanism, 1964-1974 is scheduled to be released this year with Michigan State University Press. His work in hip hop has been global. He has been very active in the hip hop scene in Tanzania, where is known as DJ Pemba. He has also traveled to several countries and worked with hip hop communities from Costa Rica to Russia. He is currently the faculty advisor for the Trinity International Hip Hop Festival, which happens every year on the campus of Trinity College and features artists, activists, and scholars from all over the world. In this conversation we discuss the festival, it’s background and mission, as well as how people can get involved. We also discuss his work in Tanzania, his research, and being a hip hop academic. Gigi Lamayne is part of a recent growth of female MCs in South Africa. Based in Johannesburg, her strong vocal presence and lyrical style are unmistakably hip hop. She also presents a strong, confident feminist energy in hip hop’s hypermasucline culture. A member of South Africa’s “born free” generation, Gigi Lamayne started MCing as a teenager. There has been a noticeable growth in her lyrics over the years, and Gigi Lamayne is now one of the most well known female MCs in South Africa. Confrontations of sexism, patriarchy, domestic violence, and post-apartheid politics are themes throughout her music. In this conversation Gigi Lamayne talks about her music and influences, and her decision to address controversial, sensitive topics. Her most recent release, Ground Zero, can be found on iTunes and other online outlets.